Sony hardwired high dynamic range (HDR) capture for both stills and video in its new Exmor RS sensor that will be used by most flagships this year, but innovations in the field aren't stopping, it seems, especially with Toshiba. The company announced sample availability of an 8MP sensor with a color noise reduction (CNR) circuit. Despite being 1.12 micrometers, the "T4K35" image sensor combines CNR with backside illumination for reaching a signal-to-noise ratio that rivals what can be achieved with current 1.4 micrometer units. This means an even smaller camera module, allowing for thinner phones and tablets, but with performance on par with senors that have much larger pixels, so we can't wait to see who will implement first the new sensor in a phone. 2013 is Full of Surprises. 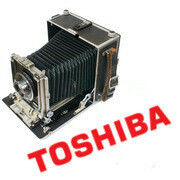 Toshiba supplies sensors to nokia?is it?